Sony has confirmed Virgin Media has its official UK ISP partner for the forthcoming PS4 release, now confirmed for November 29 in Europe. In a post on its official blog, Virgin said it had plenty of benefits in store for broadband customers who splash out on a PS4, but did not go into specifics. 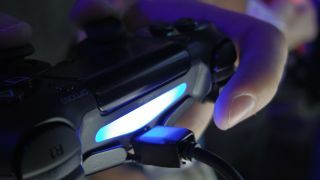 Sony, which has also penned deals with the likes of Orange and T-Mobile in Europe, his hinted that gamer specific packages will be offered, which reserve bandwidth to ensure fast, reliable gaming and streaming. While announcing the ISP tie-ins at Gamescom in Cologne, Sony Computer Entertainment Europe CEO Jim Ryan said the packages will ensure there "bits of the pipe are left open to gamers." In its announcement, Virgin Media's Jon James, the executive director of broadband and digital entertainment, said the benefits for its customers will be announced soon. He wrote: "We're delighted to say Virgin Media is Sony's PlayStation 4 UK ISP partner for its hugely-anticipated launch which is now confirmed to be on 29 November. We're already hard at work with them to make this the best entertainment experience for gamers across the country. "What does that mean exactly? Well, there's going to be loads of exciting benefits for our customers but we have to keep the details under wraps for the time being. Watch this space for more details…"
Virgin Media, of course, will give UK gamers their first change to go hands on with the device at the Eurogamer expo at Earls Court, which begins on September 26. "We'll be at the heart of this year's Expo, offering our continued support for the UK games industry as well as demonstrating the speed and quality of Virgin Media's ultrafast broadband with a 1Gb – yes that's 1Gb! – connection, more than 100 times faster than the average household broadband speed," James added.